The largest known multiple of the scarce perf 11 rotary printing of the 1923 2¢ black Harding stamp is also being auctioned in Siegel’s sale of the Irwin Weinberg treasures. The used horizontal strip of three made philatelic news when it was discovered little more than 10 years ago. Among the international rarities to be auctioned in a Nov. 15 Siegel sale is this variety of the Trinidad 1901 1-penny black-on-red type II stamp with value omitted, one of three known examples. It was the last stamp on the sheet, and now it’s up for auction by Robert A. Siegel Auction Galleries of New York City. The position 100 Jenny Invert stamp will be offered during the Nov. 9 sale of the Irwin Weinberg Treasures of Philately. Siegel will present a specialized sale of the Republic of Cuba on Nov. 15. The auction includes a number of unusual varieties, including this imperforate vertical pair of Cuba’s 1951 green and carmine 1-centavo Poinsettia Christmas stamp. Mr. Weinberg died this year on May 2 at age 88. A tribute to his life and career, including his decade-long stint as part owner and guardian of the famed British Guiana 1856 1¢ Magenta, was published on Linns.com on May 4. 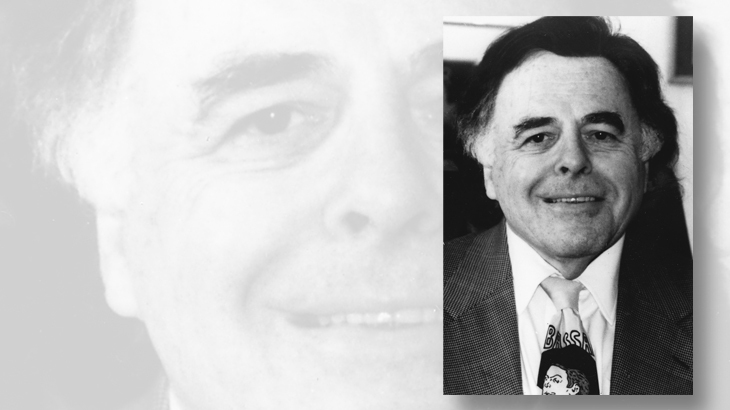 Irwin R. Weinberg, once owner of 1¢ Magenta, dies at 88: Throughout the 1970s, Weinberg gracefully negotiated life in the public spotlight as an owner of the world’s most valuable stamp, the famed 1856 British Guiana 1¢ Magenta. The Siegel firm will hold five auctions between Nov. 9 and Nov. 18, including four that feature the Irwin Weinberg inventory. United States and possessions will be sold at auction Nov. 9-11. The auctions of worldwide material taking place Nov. 15-18 are from Robert A. Siegel International in association with Charles F. Shreve. All of the sales are taking place at Siegel Auction Galleries on the fourth floor of 60 E. 56th St., New York, NY 10022. The auction series opens Nov. 9 with the first of two sales billed as the Irwin Weinberg Treasures of Philately. The name is not applied lightly, for the auction includes a number of highly sought-after items. Perhaps chief among these is the 1918 24¢ Jenny Invert airmail error stamp with bottom margin (Scott C3a), from position 100 on the 100-stamp sheet. This iconic error stamp from the lower right corner of the sheet has a natural straight edge at right and original gum that has been lightly hinged. It had been in Mr. Weinberg’s possession since he bought it at auction in 2004 when it was offered as part of the Ron L. Scott collection. Remarkably, it was the second time that Mr. Weinberg claimed ownership of this particular stamp, for he had purchased it at a Siegel auction in 1982 and sold it privately just a few months later. The stamp is accompanied by a 1999 Philatelic Foundation certificate of authenticity. The full history of this stamp, and details of all 100 Jenny Inverts, can be researched on Siegel’s superb Inverted Jenny website. The Siegel auction catalog listing notes the $350,000 unused value assigned to Scott C3a in the 2016 Scott Specialized Catalogue of United States Stamps and Covers, but that value recently increased to $450,000 in the just-released 2017 edition of the Scott U.S. Specialized catalog. What other treasures are there to be found? This first sale includes the largest recorded multiple (a horizontal strip of three) of the perf 11 rotary printing of the 1923 2¢ black Warren G. Harding memorial issue (Scott 613). The stamps are lightly struck with a neat duplex cancel. They were discovered a little more than 10 years ago by a collector examining stamps in a massive hoard of the 2¢ black Harding issues. Most of the 1923 Harding stamps, issued just weeks after the president’s death, are flat-plate stamps perforated gauge 11 (Scott 610) with a design that is only slightly shorter than the rare rotary press version with the same perforation measurement. Other varieties of this issue include a perf 10 rotary press stamp (Scott 612) and an imperf stamp (611). The three-stamp used multiple in this sale is the only recorded multiple other than a single used pair. Siegel’s records also identify 45 used singles. Siegel lists the stamp multiple with a value of $130,000, presumably the sum of the Scott catalog values of $40,000 for a used Scott 613 single and $90,000 for a used pair. Certificates from the Philatelic Foundation and Professional Stamp Experts, both from 2007, when it was first revealed publicly and auctioned, identify the unique strip. Another unique item in this sale is the cover struck with the 5¢ black Bluffton, S.C., Confederate postmaster’s provisional handstamp (Scott 124XU1). The Scott U.S. Specialized catalog points out that there is “Only one example recorded of No. 124XU1,” and the yellow cover in this sale is that example. Mailed in 1861 from Bluffton to Charleston, S.C., it is accompanied by a handstamped “Paid” rebacked cover front from Bluffton to Charleston dated Nov. 2 with a “5” rate handstamp. Both covers come with 1995 authentication certificates from the Confederate Stamp Alliance. The lot carries the $4,250 Scott catalog value for the unique Bluffton stamp, which is ex-Mueller, Bogg and Dr. Brandon. The second of the five auctions extends from Nov. 9-11 and presents United States and possessions stamps and proofs, including postal cards, Official stamps, revenues, duck stamps in plate blocks and full panes, dozens of complete stamp booklets, group lots, collections and accumulations, and more. Collectors will find a large number of very highly graded stamps in this offering, including some 25 that grade 100 or 100 Jumbo, with many of those in never-hinged condition. This catalog offers more than 1,500 lots, with particularly desirable issues throughout. The sale includes two unused original-gum examples of the 1858 5¢ brick red Thomas Jefferson type I stamp (Scott 27), which is listed in the Scott U.S. Specialized catalog at $80,000. Also offered is a striking example of the 1908 5¢ blue Abraham Lincoln coil gauging perf 12 horizontally (Scott 317). Described as the only mint never-hinged example contained in the Professional Stamp Experts population report, it is graded very fine-extremely fine 85 with a 2014 PSE certificate. On the morning of Nov. 15, Siegel International presents its sale of “Worldwide Treasures of Philately from The Irwin Weinberg Inventory,” comprising 170 lots of material from around the world. The cover of the auction catalog pictures a cherished rarity of Trinidad: the 1-penny black on red, type II, with value omitted (Scott 78a). The stamp has gutter margin selvage at right and has been lightly hinged. Siegel notes that the stamp has a faint trace of the “NY” of “PENNY,” as do all the other known examples. There are but three known, all unused, with one of those in the Royal Collection, and the other in the collection of Sir John Marriott. The stamp offered in this sale is authenticated with a 1986 certificate from the experts of the Royal Philatelic Society London. The stamp is listed with the $36,000 value from the Scott Classic Specialized Catalogue of Stamps and Covers 1840-1940. From Italy comes an overprint variety for its offices in China that is absent from many collections: the $2 on 5-lire blue and rose stamp with the type II surcharge that shows “DOLLARI” in upper-case letters. It’s a stamp that Scott values at $125,000, and this example, according to Siegel, is “barely hinged” and well-centered with warm rich colors and a strong impression on fresh paper. Only 15 examples have been recorded, Siegel notes. That same afternoon, a separate auction of Republic of Cuba will be presented in its own catalog. This sale is strong in varieties that range from proofs and specimen overprints to stamps with inverted centers, inverted overprints, and absent perforations. Consider the unused (no gum) and imperforate vertical pair of the 1951 green and carmine 1-centavo Poinsettia Christmas stamp (Scott 469). The auction catalog describes the pair as rare and notes “we have been unable to locate another example.” It is listed with an estimate of $400 to $500. The sale also offers a range of postal history that includes zeppelin covers, signed flight covers (including one by Charles Lindbergh from a 1928 Latin America Goodwill tour), experimental rocket flights, and more. The sale series concludes with worldwide stamps and postal history from the Irwin Weinberg inventory on Nov. 16-18. The offerings in the final catalog exceed 1,200 lots, including some three dozen stamp boxes offered individually in all manner of designs, plus a smaller number of autographed items, such as documents signed by Queen Isabella and Queen Victoria, and philatelic material signed by artists Marc Chagall and Salvador Dali, respectively. The sale features an 1856 British Guiana 4¢ black on magenta stamp cut to shape with a light Demerara cancel (Scott 14), bearing more than a passing resemblance to the famous 1¢ Magenta stamp that was in Mr. Weinberg’s custody throughout the 1970s. From India come some classic rarities, including an intact ½-anna red “Scinde Dawk” embossed stamp (Scott A3) and a cut-to-shape example of the 1854 4a red and blue Queen Victoria issue with head inverted (6c). Among the postal history offerings is one of four examples known of Nicaragua’s 1862 5-centavo black first issue on cover (Scott 2); this folded cover is addressed to Granada. The sale concludes with collections and accumulations, including one that begs attention with an estimate of $500,000 to $750,000. These upcoming auctions from Siegel are all posted online, with full lot descriptions and images. Bidding options are available on the Siegel website or through Stamp Auction Network. Additional information is available from Robert A. Siegel Auction Galleries, 60 E. 56th St., Fourth Floor, New York, NY 10022.